Are these the best movies ever made? No. Probably not. 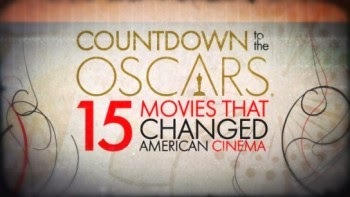 But I agree with the argument that many of them changed the landscape of American cinema. Especially Star Wars, a true cultural phenomenon. From the epicness of Gone With the Wind, to the groundbreaking animation of Toy Story and Snow White, and the birth of modern horror with Psycho, the list does a pretty good job of covering all the basis. I was a little surprised The Wizard of Oz didn't make the list. What do you think? Anything they missed? Excuse me while I plan out an evening of movie viewing :) Looks like I've got a few new once to see!